Discover two of the most beautiful cities in southern Spain: Seville and Cordoba. 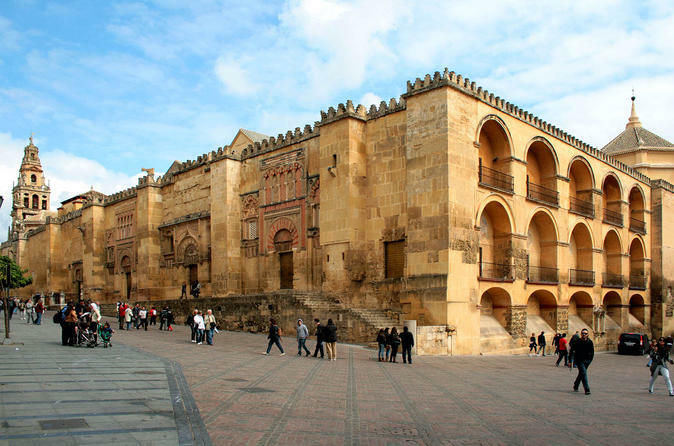 Travel to Andalusia from Madrid by bus and enjoy these cultural trip with us! Return to Madrid by high-speed train, after 2 or 3 days in Cordoba and Seville. Departure from our terminal at 8am, going through La Mancha towards Cordoba visiting the city, including the inside of the Mosque/Cathedral, and the Jewish quarter. Afterwards, we will continue on our way to Seville for an included dinner, and 4 star hotel overnight stay. On a Half Pension, in the morning we will visit such sights as Maria Luisa Park, Plaza de España, exterior of the astonishing Cathedral and la Giralda, and the typical Sevillian Santa Cruz district. It is possible to optionally visit the Reales Alcazares. On the afternoon you will have time to see this monumental historical city at your own leisure. (If the 2 Day Tour option is selected, at the end of the afternoon, transfer to the AVE train station on your own, to take the high speed train back to Madrid. Arrival and end of services). Breakfast. All day to enjoy the historical city of Seville at your leisure. At the end of the afternoon, transfer to the AVE train station, on your own, for the return trip to Madrid. Arrival, and end of services.